Note: you can zoom/rotate this. I've got my laptop running 24/7 trying to pick up radar detections of Perseids. Comet Smith-Tuttle is thought by many to be the single biggest threat to life on Earth. If it ever hits it will be 27 times the impact of the dinosaur killer! Don't quite follow the radar bit. I presume it means your looking to detect echoes of radar that someone else is sending? Yep! Graves is a huge radar in southern France used to track satellites. 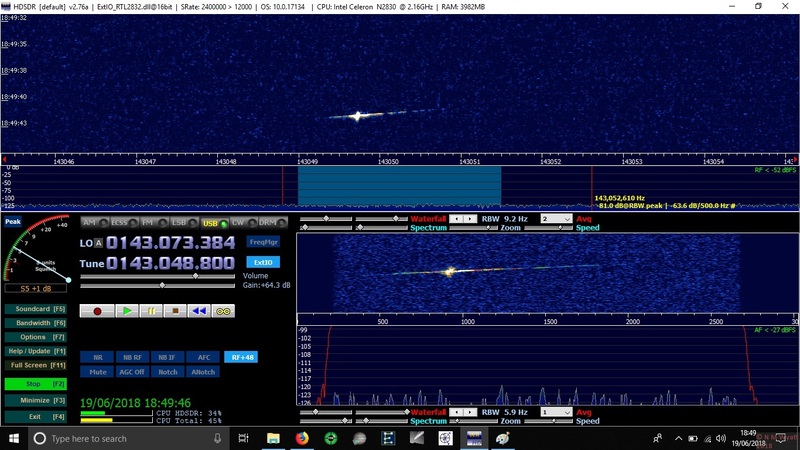 With a ~2m band yagi aerial and a cheap software defined radio (and lots of confusing software) you can receive and log the satellite trails. As an aside, I have a "cheap software defined radio" which I've never really got into because of the "lots of confusing software". (Not talking radar .... just regular use). One thing I noticed on the original APOD link is that if you zoom right in you see how close the comet orbit comes to the Earth's orbit at perigee. Scary. When's it due back? The effects of global warming are a much more immediate threat, if not to us then to our grandchildren.